The governor of Illinois was on trial for stealing state funds. That was the big story on this date 90 years ago. Our governor, a defendant in a political corruption case? That had never happened before! 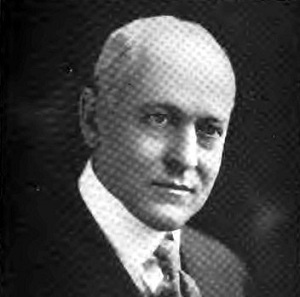 Len Small, a Republican from Kankakee, had been elected governor in 1920. He was celebrated for his ambitious road-building program. 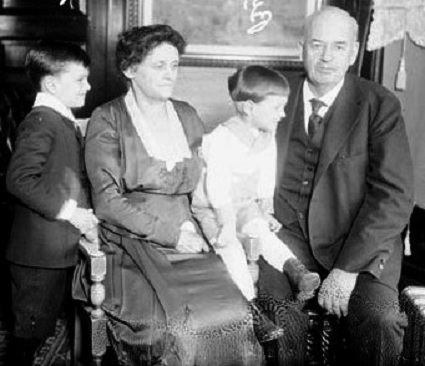 He was also involved in a political feud with another Republican, Illinois Attorney General Edward Brundage. Small had previously been state treasurer. In the summer of 1921, Brundage charged that Small had used that office to operate a money-laundering scheme. A downstate grand jury then indicted Small for embezzlement. The governor yelled that his enemies were playing “grand jury politics.” He toyed with the idea of calling out the National Guard and declaring martial law. He finally decided to take his chances in court. Small’s attorney obtained a change of venue, to Waukegan. The trial opened on April 24, 1922. As treasurer, Small had deposited state money in a bank owned by a friend—which wasn’t illegal, and certainly wasn’t unprecedented. But did this bank pay the best-possible interest to the state? And had Small received kickbacks from the bank? The trial lasted two months. Small was acquitted in 90 minutes. Later that same evening, his wife dropped dead from a heart attack. And Small’s legal problems were not over. As O.J. Simpson learned, just because you beat the criminal case, doesn’t mean you’re off the hook. Now Brundage brought a civil suit to recover $1 million that Small had allegedly pocketed. Small eventually agreed to pay the state $650,000. Included in the deal was an official statement that Small had not gotten any money that should have gone to the treasury. Presumably, he was giving the state that $650,000 because he was a nice guy. In any event, Small didn’t have to come up with the money himself. He simply took it out of the paychecks of state employees as a “political assessment.” That was another maneuver that wasn’t illegal, and wasn’t unprecedented. Len Small was re-elected governor in 1924. He tried for a third term in 1928, but lost in the primary. He died in 1936. For years afterward, rumors persisted that the Waukegan jury which acquitted Small had been fixed. Nothing was ever proven. The fact that four jurors later obtained state jobs is probably just a coincidence.